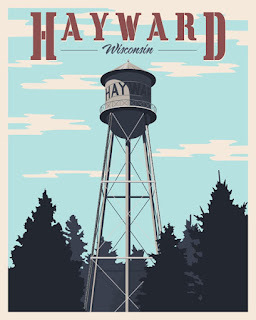 My family and I have rented a cabin for the summer just south of Hayward, Wis. Driving through the northwoods city I was inspired to create a couple of travel posters of the area. 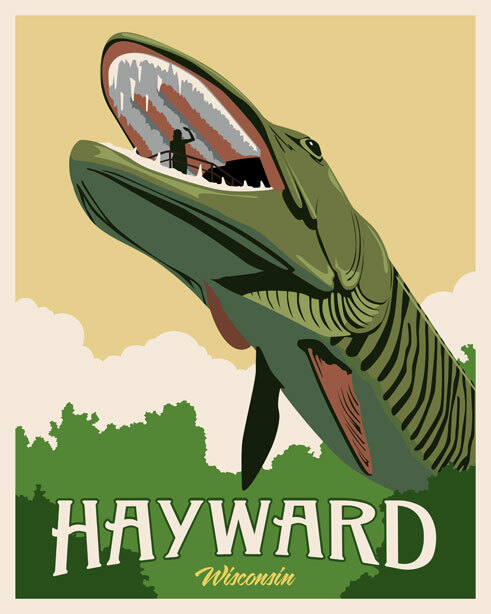 Hayward is home to the Fresh Water Fishing Hall of Fame. 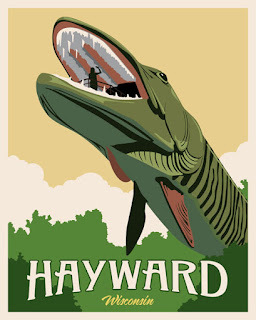 The muskie image is of the huge fish you can walk up inside. 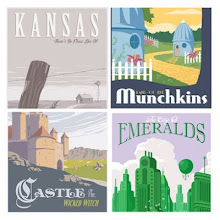 They are now available as Giclee prints in my store. Both are 16 by 20 inches and printed on archival watercolor paper. $40. Would look great in the cabin or lakehouse.